Even with a bowling bowl bulging from his tummy, this overly ambitious gator manages to stay on his toes! Perfect for anyone with a big appetite for imagination, this beast of the bog adds a dash of playfulness bedrooms, nurseries, and hallways. 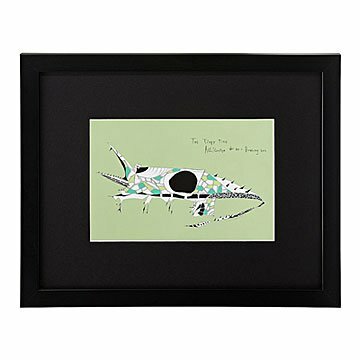 Give him the spotlight, or introduce him to Seth Anderson's other, quirky creatures to create a personalized sanctuary. framed and printed in oregon, also available unframed.